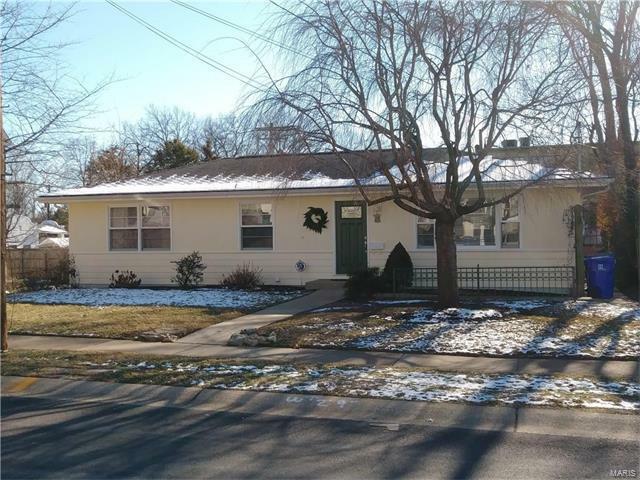 This is a rare find: a very sharp updated ranch in the heart of Old Orchard!! The owners have taken great care in updating this home with details like a convection oven, warming drawer in the kitchen, SS appliances and solid surface counters in kitchen; see-though gas fireplace (LR and DR); fresh paint, hardwoods, and higher end updates on both baths. You'll love the master bedroom suite with Grohe shower system, vessel sink and Scandinavian shelving. Basement has been wired with future finishing in mind: wires and duct work are positioned to allow finish. Walk-out, egress window and door to garage. This is a great starter home with room for growth, for those wishing to downsize, and a nice condo alternative. Walk to restaurants, shops, schools, the Rep, Webster U and all the amenities and activities in Old Orchard and Gazebo Park - music and movie nights on summer Fridays, holiday merchant events and new shops!